Sumner Redstone’s media giant will pay $757 mln for Britain’s Channel 5. That looks rich for a shoestring free-to-air station known for reality shows and programme imports. But Viacom gets a decent platform for overseas growth. And old-school TV is a show with much further to run. 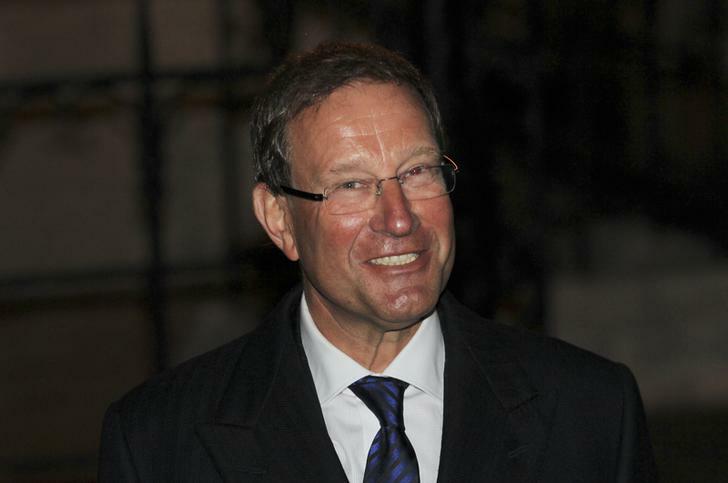 Express newspapers owner Richard Desmond smiles as he leaves after giving evidence to the Leveson Inquiry at the High Court in London January 12, 2012. Media baron Richard Desmond bought Channel 5 for 103.5 million pounds in 2010. His Northern & Shell vehicle, the current owner of Channel 5, was advised on the sale by Barclays.